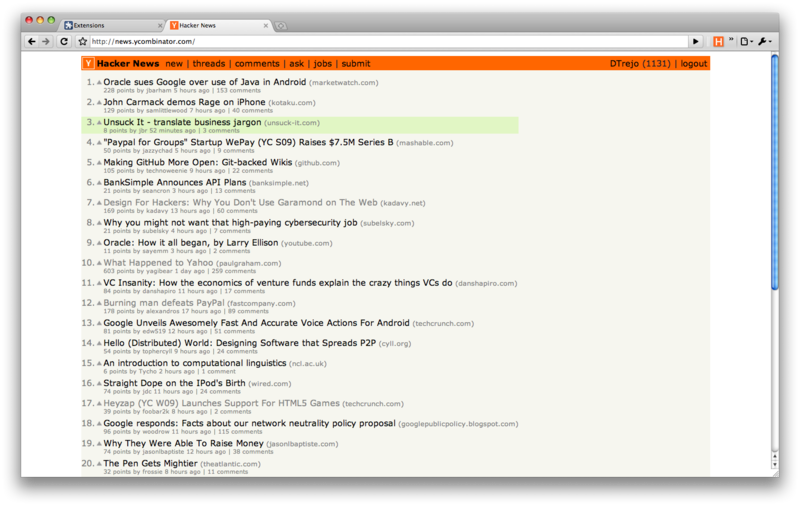 I was bored so I made gmail-style hotkeys for Hacker News. You can install the chrome extension here. I thought I'd add support for Vim and Emacs style hotkeys, but then I didn't.